I give you the pillow case laundry bag. 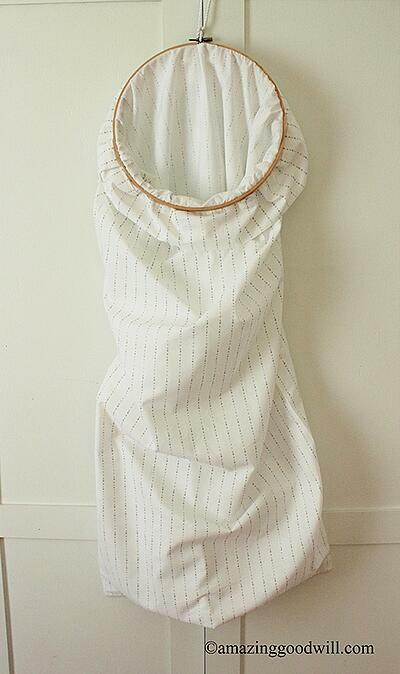 It takes minutes to make, and doesn’t require any sewing or power tools! And, a piece of string. 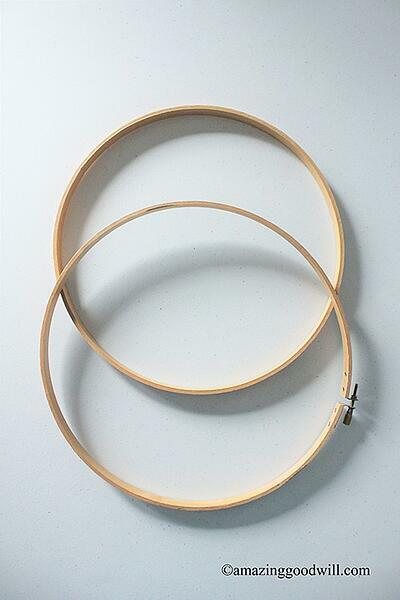 Separate the two hoops. 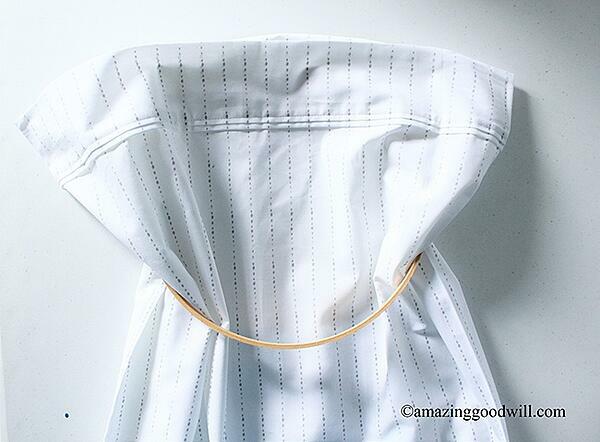 Place the opening end of the pillowcase inside the smaller hoop. 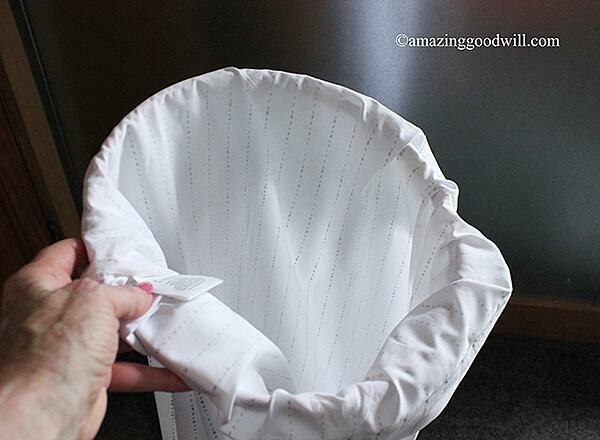 Fold the top of the pillowcase over the hoop. 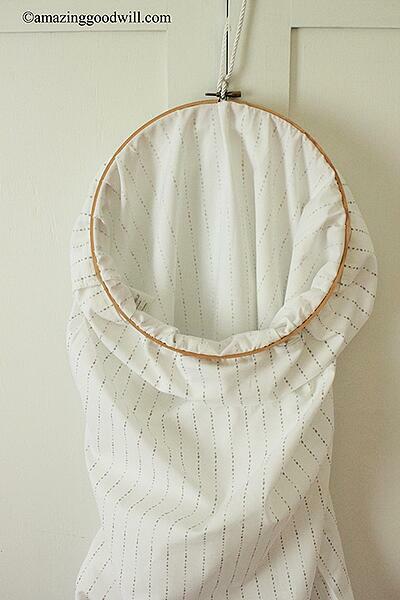 Cover the first hoop and pillowcase with the larger hoop. 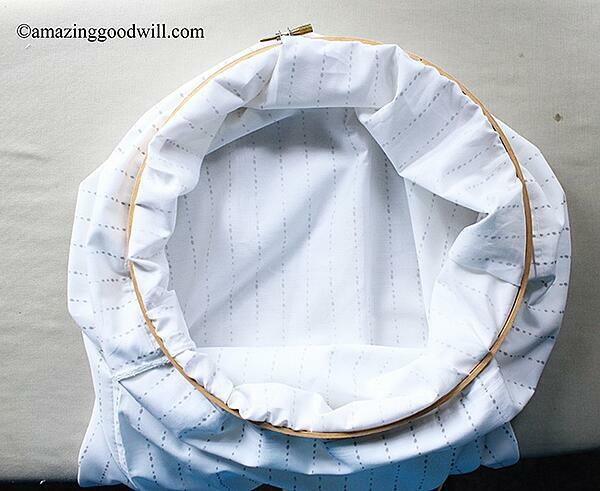 Evenly distribute the excess fabric around the circle and tighten the screw at the top. Tie a piece of string or ribbon to the screw. It’s ready to hang on any hook, bedpost or door knob. 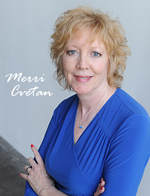 Keeping dirty laundry in one place is a no-brainer. 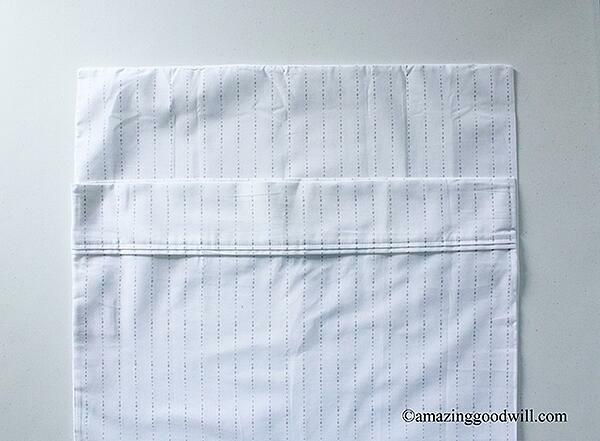 You can easily remove the pillowcase to wash if it starts smelling funky and when you’re done, insert a pillow and use it on your bed.